Approve.io is a new-to-market tool for rapid approvals. Aimed at freelancers and micro-agencies, the key USP for Approve.io is speeding up complicated approvals processes. It was entering a market already well stocked with competitors, from Adobe to InVision. As a brand new product, Approve.io couldn’t compete in terms of recognition or reach, so we set about communicating the brand’s differences. We used an advocacy approach to drive product awareness and earn links. 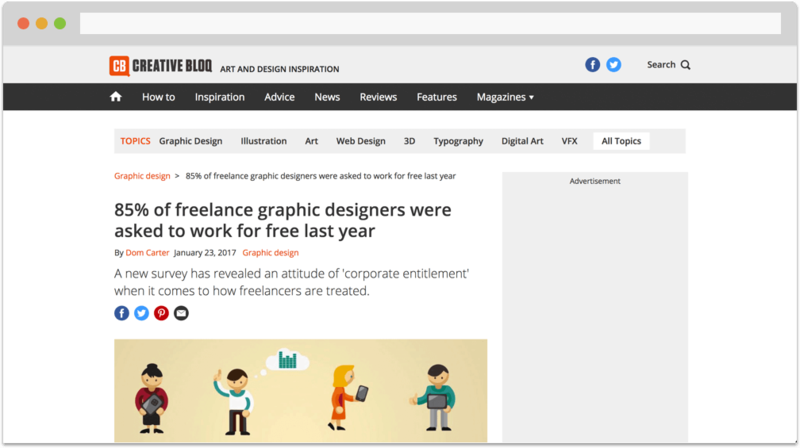 Essential Content polled more than 2,000 freelance professionals to confirm what we already thought was true – that freelancers are sick of being asked to work for free. Once we had data to back up our assumptions, we started telling the story. 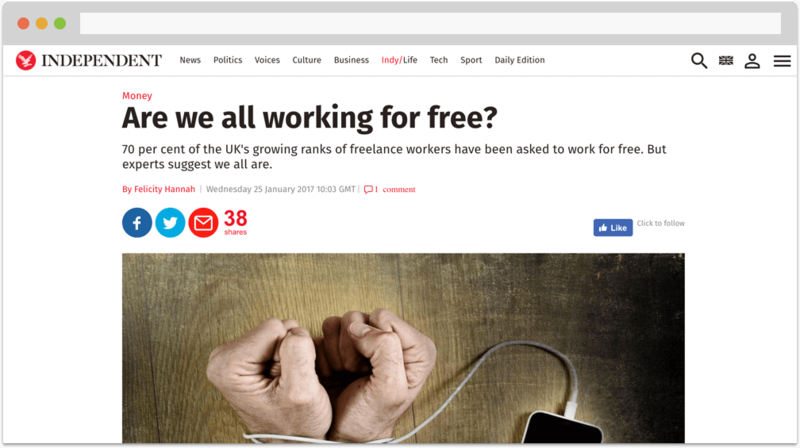 7 in 10 freelancers told us that they’d been asked to work for free at least in the previous 12 months and 1 in 10 said yes. This, on its own was enough information to build a powerful campaign looking at why businesses ask and why freelancers say yes. Often, putting a number next to an abstract concept can be enough to ignite people’s emotions and drive action. By splitting our study data by industry, we were able to target influential trade outlets individually. As well as targeting national press with the overall figure for the freelance sector. A high impact launch campaign earning more than 54 links in 8 weeks from influential and relevant titles such as The Independent, CreativeBloq, Peta Pixel, Format, Startups.co.uk. “Approve.io is a rapid approval tool for freelancers and micro-agencies. It’s designed to reduce friction in the creative approvals process. We engaged Essential Content before launch to deliver a content marketing campaign to build awareness and earn coverage, links and shares for what was at the time a brand new product. A big ask but one we were confident could be delivered after receiving their initial proposal. We liked the simplicity of the proposal. The messaging focused on our users, rather than our product. The Essential Content team encouraged us to take an ‘advocacy-driven’ approach to our launch and discouraged us from promoting our product offer before our users had a chance to form a relationship with the brand.